Fiber Optic front and fully-adjustable rear sights. Additionally the rear sight plate can be easily removed as a unit and replaced with a ROMEO1 optic which means every P320 X-Five pistol is optics-ready right out of the box. 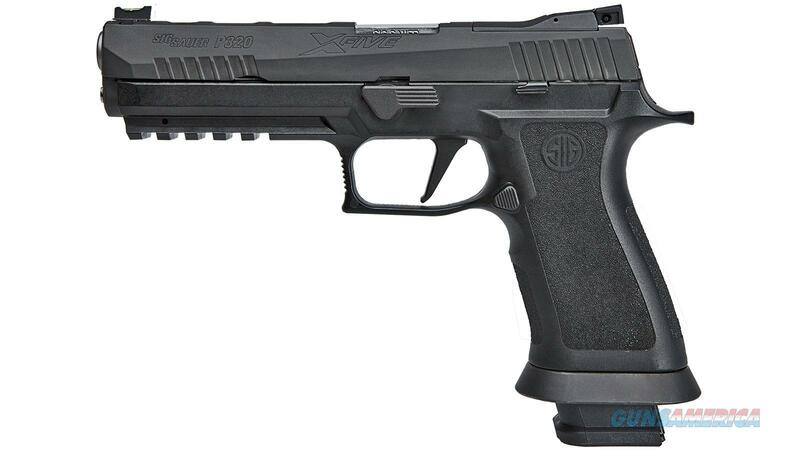 Each P320 X-Five includes four (4) 10rd steel magazines. - CALIBER: 9mm Luger - FRAME MATERIAL: Polymer - SLIDE FINISH: Nitron - SLIDE MATERIAL: Stainless Steel - BARREL MATERIAL: Carbon Steel - ACCESSORY RAIL: M1913***Please allow up to 5 days handling time for this particular firearm.